Right about here is where we bought another car, which pretty much puts us back where we started with our parking situation. The plan must be revised! 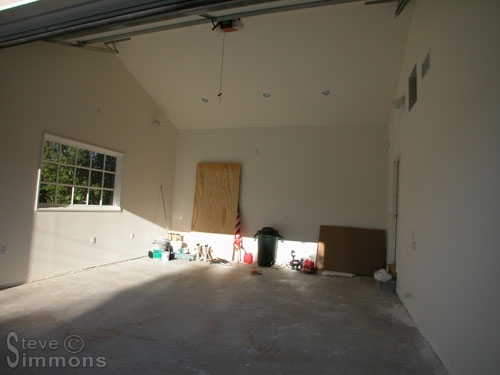 A storage loft planned for one side of the garage was erased from the drawings and a second lift added. 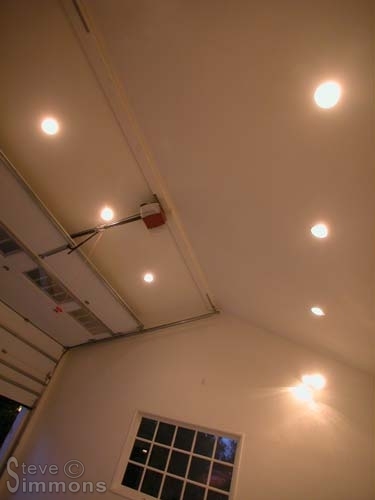 An additional electrical outlet was added for the lift, and the lighting plans were modified accordingly. I feel we may in fact be crazy. 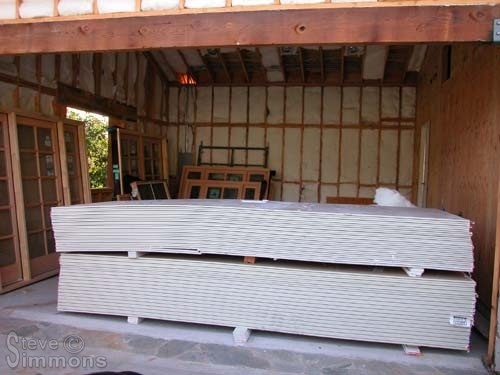 The insulation is in, electrical work done and we’re now ready for drywall. I usually take detailed photos of structure and electrical before installing insulation but this time I forgot. I hope I never have to modify anything inside the walls! 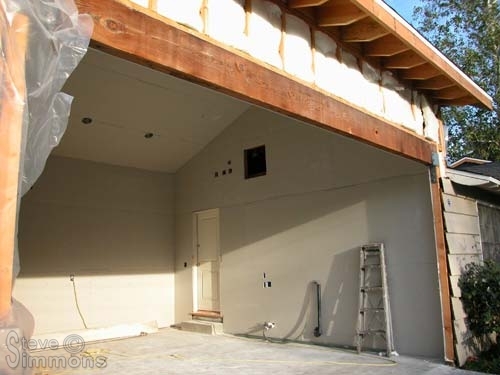 The doors and windows sitting in the garage are for another project. 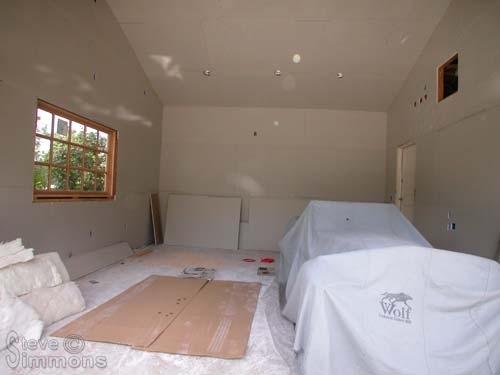 The drywall finally up, making the garage feel like it’s actually part of the house again. The workers got plaster all over my nice new runoff-stained concrete. The electrical junctions on the walls were not in my plans and unfortunately those were done while I wasn’t there. I decided to live with them. Another car moves in. The sap drip protector is no longer needed, but the oil drip protector is still a necessity! I figured the cars are safer in here even with work going on since the one stored safely in a corner of the driveway got a mysterious (and large) scrape on the rear wing while workers were moving lumber around. 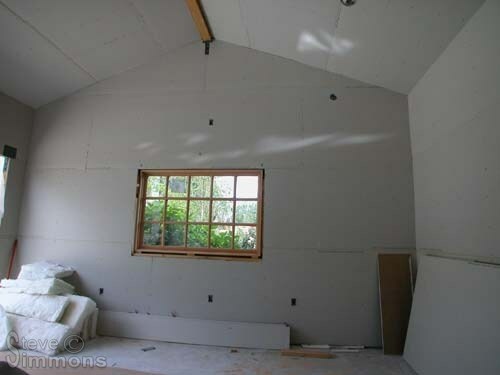 More drywall is installed and we have a nice view through the window, thanks to the woman of the house. We did decide to trim that hydrangea down a tad. All content contained on this site is copyrighted unless otherwise noted. No material contained herein may be copied or reproduced without express written permission from the site owner.